The last round of the 14th Bangkok Chess Club Open 2014 saw the much anticipated clashes GM Oliver Barbosa (7) vs. GM Francisco Vallejo Pons (7) on the first board, and GM Jan Gustafsson (6½) vs. GM Bartosz Socko (6½) on the second. Yet, their games were somewhat anticlimactic, as no risks were taken. The players agreed to strategic draws after two hours, assuring them all top rankings and prize money. The Spanish grandmaster and tournament number one seed GM Francisco Vallejo Pons wins with 7½ points. Congratulations to ‘Paco’ and many thanks for his return to the BCC Open after his first appearance in 2011. We hope he will come back again next year to defend his title. The runner-up is GM Oliver Barbosa, who also reached an impressive 7½ points. GM Barbosa also won the Blitz tournament for the second year running, against stiff competition. Congratulations to the mighty Filipino for his outstanding performance. GM Jan Gustafsson, IM Qingnan Liu and GM Bartosz Socko all reached a very solid 7 points, putting them in 3rd to 5th place. 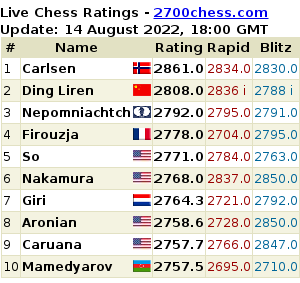 A GM norm was achieved by fourth-placed IM Qingnan Liu from China and a WIM norm by Ying Zhu (5 ½), also from China. Best lady player is Polish GM Monika Socko (6½). Best juniors are the Chinese youngsters Yan Liu (6) and Xiongjian Peng (6), as well as Richi Sardana (5½) from Australia. Congratulations to these players for their well-earned successes. In the Challenger category, this year’s 14th BCC Open champion is Leonardo Alidani from the Philippines. He scored six points, as did his fellow countryman Marvin Ting, who is second based on tiebreak. Thotsaporn Thanatipanonda (THA), Kumar Samuel (IND) and Trong Binh Phan (VIE) scored 5½ points, which puts them on 3rd to 5th place. Please visit chess-results.com for complete rankings, results and further details about the tournament. A very big thank you goes to the 210 players from Asia and around the world for their hard-fought games and the many chess fans who followed the action in the playing hall and live online. We thank our sponsors Thai Bev, Univentures, PYN Fund Management, Tourism Authority of Thailand, Chess4Thai, and the marvelous playing venue hosted by the Dusit Thani Bangkok Hotel. The tournament could not happen without their wonderful and generous support. Many thanks also to all the members of the dedicated BCC Open tournament team who kept the tournament running smoothly at all times. 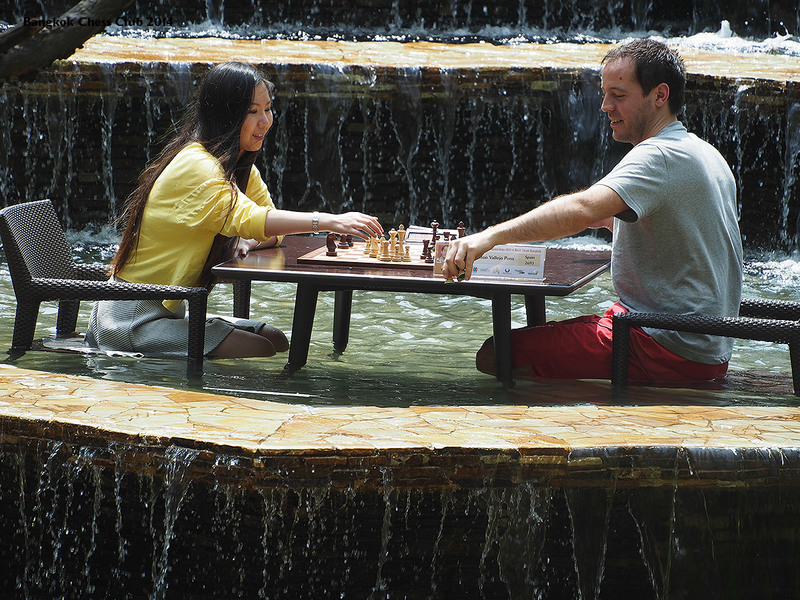 Coming soon at www.bangkokchess.com are interviews with some of the top GMs.